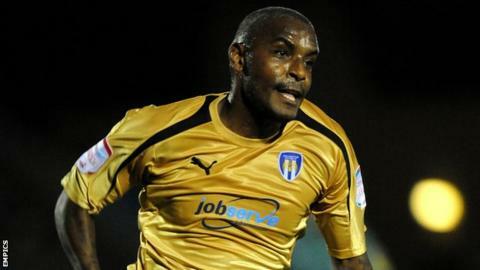 Exeter City have signed former Republic of Ireland, Crystal Palace and Birmingham City striker Clinton Morrison on non-contract terms. The 35-year-old has been without a club since at the end of last season. Morrison scored nine goals in 36 games for Ireland and was part of their squad at the 2002 World Cup. The striker is available to play for Exeter in their League Two game at Accrington on Friday night. Morrison began his career at Palace in 1997 and scored 71 goals in 181 games before moving to Birmingham City for club-record fee of £4.25m in 2002. After three seasons at St Andrews he returned to Palace for £2m before moving to Coventry City in 2008. He spent two seasons at the Ricoh Arena before moving on to Sheffield Wednesday, and after loans at MK Dons and Brentford, joined Colchester in 2012.